A Provisional Patent Application is used by people who want to patent a unique idea they have It will be filed with the United States Patent and Trademark Office. What is a Provisional Patent? A provisional patent application (PPA) is a legal document that is filed in the United States Patent and Trademark Office (USPTO). The provisional application establishes an early filing date and give you patent pending status. It does not turn into a full patent unless the applicant files a regular non-provisional patent application within one year. A provisional application includes a specification or description and drawings of the invention. It is typically less expensive to file a non-provisional application because a PPA is not examined. When should you use a Provisional Patent Application? A provisional patent application is useful when you have an idea that you want to protect, but know that you will need to continue working on it. A provisional patent application can be filed as soon as your invention is concrete and tangible enough to describe. Once you have filed a provisional application, you can continue making improvements to your initial design and know that your intellectual property is protected. A provisional application for patent is ideal when you have something that could be protected, but are still refining the details. If you file a provisional patent application and then file a non-provisional application within one year, your provisional filing provides your priority date. 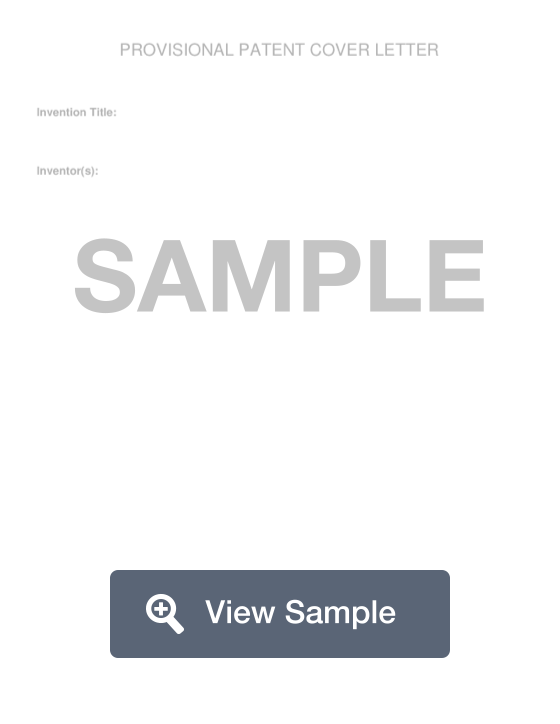 Create a free Provisional Patent Application in minutes with our professional document builder. Your provisional application only protects the things that you specifically include within the application. Another way to look at this is that your application is only as good as the level of detail that provide in it. When you prepare a patent application, you should make sure that you cover your invention and also variations of the invention. If your invention is a success and you begin to have competitors, you will want your patent to cover the alterations and variations that your competitors come up with. It’s important to include alternatives and variations of your invention even if they are not optimal. Your competition will try to compete with you by copying your invention as closely as they can without infringing upon your rights. Entire industries exist where businesses knock-off other business’ products. You will want your patent to cover every conceivable version of your invention, even if it doesn’t work as well. A provisional patent application must name all of the inventors. U.S. patent law (35 U.S.C. 102(b)(1) and 35 U.S.C. 102(a)(1)) provides a one-year period during which a provisional application can be filed following an inventor’s public disclosure of the invention. A public disclosure consists of publication, public use, or an offer for sale. If a public disclosure has been made more than one year before the provisional application filing date, the inventors are precluded from patenting their invention in the United States. The fee to file a U.S. patent is subject to annual change. The most current fee is posted at www.uspto.gov. You can also call the U.S. Patent and Trademark Office Contact Center (UCC) at 800-786-9199 for fee information. Filing dates are important because the set the date for constructive reduction to practice. This is that date that the patent office will consider your invention to have been made. This means that unless you file evidence that your invention was actually made earlier than your application date, your effective filing date will serve as the date before which publications, public use, and sales may serve as prior art against the invention. The USPTO will use all prior art to determine whether an invention is new and non-obvious. 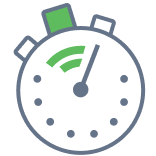 It is important for applicants to secure the earliest possible filing date so that they can avoid the most prior art. If you do file a provisional patent application, you should know that your provisional application remains pending at the Patent Office for only 12 months from the date that it was filed. This deadline may be extended to up to 14 months in rare circumstances. Currently, the cost to extend this deadline is $1,700. To file a provisional patent application, you need to include a written description and any patent drawings that support the subject matter of your invention. You should take care to ensure that the disclosure adequately provides a written description of the full scope of your invention. High quality professional drawings are an important part of any provisional application. Provisional patent applications are good idea because they are a less expensive way to begin the patent process. A provisional application has a lower cost filing fee and can often take much less time and attorney hours to file. The United States is a first to file nation, which mean that you need to file as soon as you can after realizing that you have a patentable invention. The provisional patent application allows you time to finish completing your invention, giving you a priority filing date while protecting the core of your invention. Do I need a patent attorney? It is always advisable to work with an experienced patent attorney who will be able to help you protect your invention and give you legal advice. An attorney will be helpful in conducting a patent search to make sure that your invention is original. However, if you do not have the funds available to work with a patent attorney, there are free resources available online.